The first painting to be completed by John Trumbull shows the signing of the Declaration of Independence in what is now called Independence Hall, Philadelphia, on July 4, 1776. 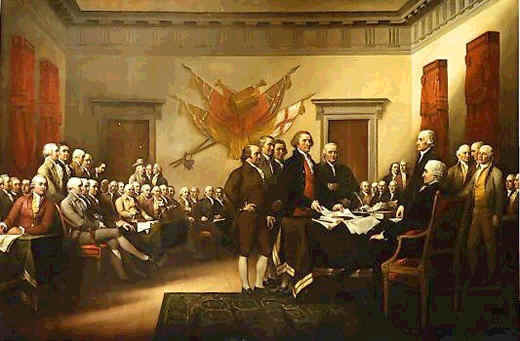 The painting features the committee that drafted the Declaration of Independence--John Adams, Robert Sherman, Thomas Jefferson presenting the document, and Benjamin Franklin--standing before John Hancock, the President of the Continental Congress. The painting includes portraits of 42 of the 56 signers and 5 other patriots. The artist sketched the individuals and the room from life. 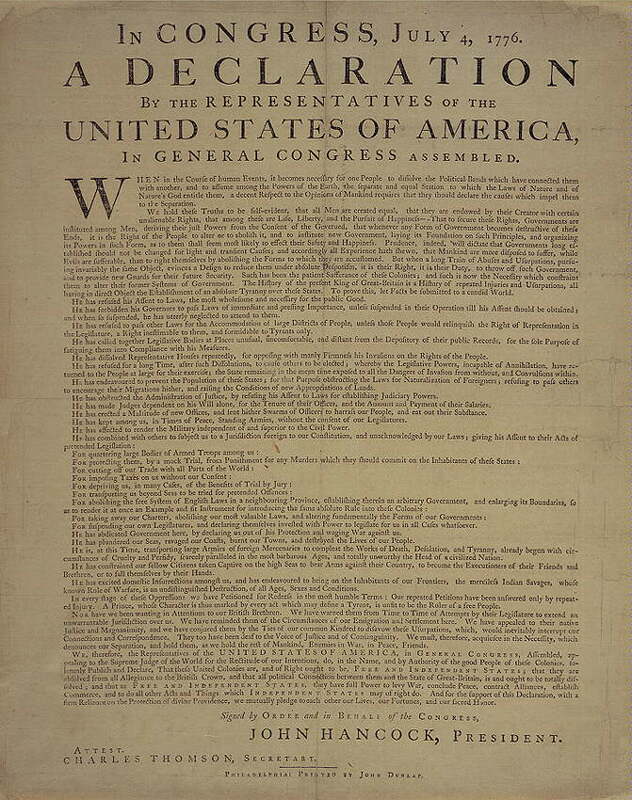 On July 4, 1776, the Second Continental Congress unanimously adopted the Declaration of Independence. 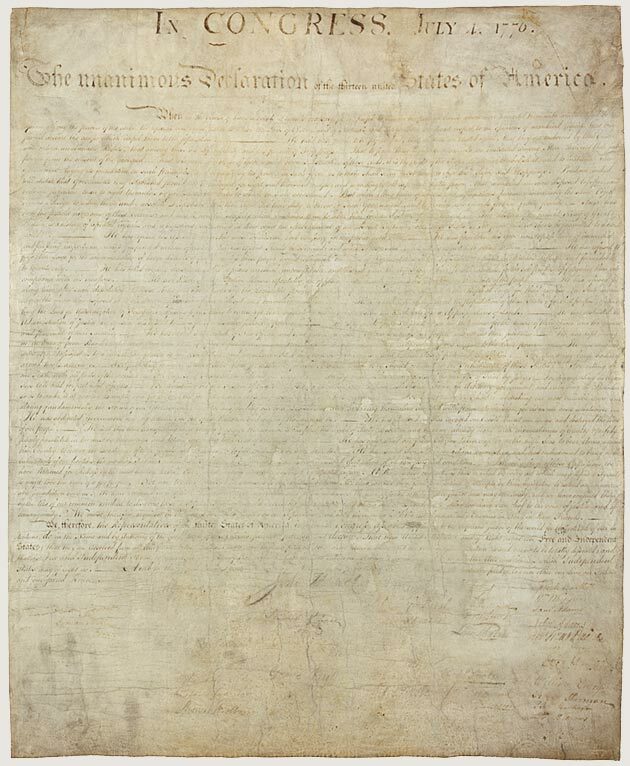 Though it is the Constitution that provides the legal and governmental framework for the United States, the Declaration, with its eloquent assertion "all Men are created equal," is equally beloved by the American people. On the Declaration's first anniversary, many citizens of Philadelphia had a spontaneous July 4th celebration. But it wasn't until after the War of 1812 that observing Independence Day became commonplace. The Fourth of July became a legal holiday in 1941.